The following article was written by Robert McTavish as part of a series of articles about filmmakers coming to the Salt Spring Film Festival on March 4-6, 2016. Filmmaker Sarah Robertson and editor Jennifer Abbott will be attending the festival and leading a discussion about the film following the screening. When filmmaker Sarah Robertson began work on a wide-ranging project dealing with the future of the Arctic, she quickly realized her first sub-topic was just the tip of its own iceberg. All of a sudden she was racing to make a different film, about pollution issues in global shipping, and to finish in time to screen at the recent UN Climate Change Conference in Paris. “Some people deep in the emissions talks didn’t even know about the issues!” she says, while the industry’s huge fleet and increasing impact on the north make it a crisis hiding in plain sight. 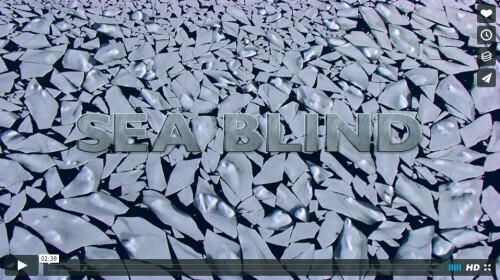 Sea Blind is the resulting documentary, and it’s message is unforgettable. More than 100,000 ships carry 90% of world trade every day, and just seventeen of the largest ones emit more sulfur and black carbon than all the cars on the planet. As pollution furthers global warming, the arctic ice recedes and is creating a global short cut – including the fabled Northwest passage. But faster and cheaper is not necessarily better because shipping is one of the least regulated industries in the world while the ships burn the dirtiest fuel on the planet. With all eyes on land-based emissions, the sea has few regulations and the Arctic has none. As more and more ships ply the northern seas, the status quo must go. Yet how to get that message across? “The biggest challenge was to learn,” says Robertson. “It was a challenge for me because it was very technical, chockablock full with information and a huge amount of research to get a handle on and pare down for people.” This the film does well, including an ordered breakdown of how ships’ black carbon hits the snow as soot and speeds up the melt – a 40% increase in Greenland alone that could be avoided with cleaner fuel initiatives. Of course, stunning northern landscapes and inventive graphics also bring a ringing clarity to the argument. 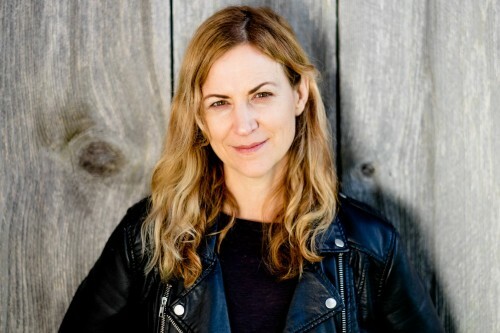 And Sea Blind was co-written and edited by multi-award-winning, Salt Spring-based filmmaker Jennifer Abbott, who’ll be joining us for the screening along with Sarah. She is best known as one of the directors and editor of The Corporation. Most recently, she co-directed Us and Them, a portrait of 4 homeless and addicted street people. Jenn is especially interested in creating emotionally powerful works that inspire people to think differently about our world. Currently, she is in development with the NFB on a documentary about the psychology of climate change. The Filmmaker series is sponsored by Stonehouse Bed and Breakfast.